Sorry to rub it in. 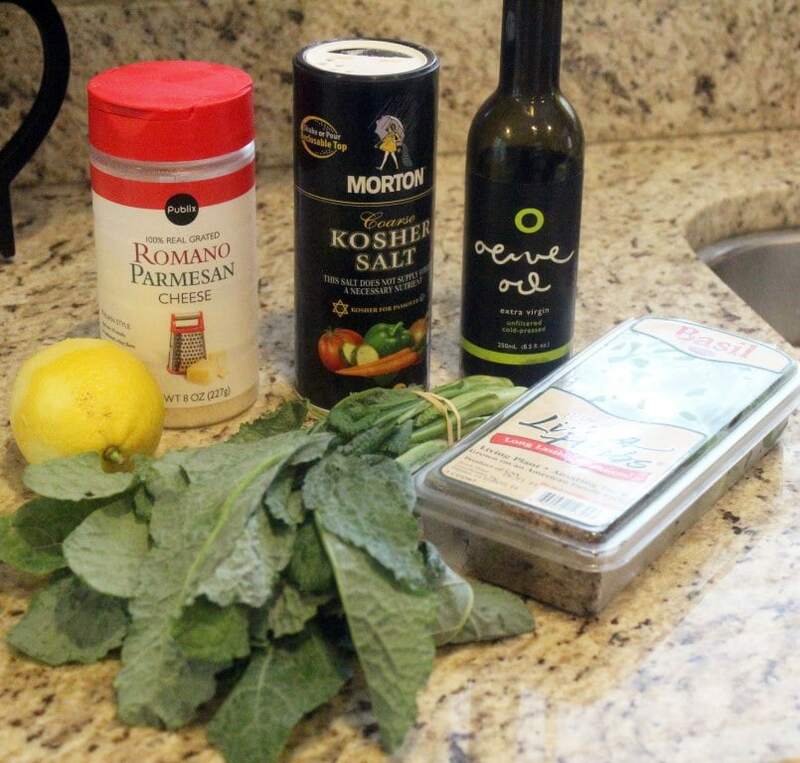 In honor of whatever you ate this weekend, I’d like to share with you the full version of the kale topping I used for the red/white/blue risotto I shared with you last week. In that recipe, there were two versions of raw kale – one with just a bit of lemon, and one with some more seasonings added in. Minus the pine nuts, this version basically has all the ingredients of a traditional pesto, and is REALLY good. It’s super light and fresh, and my mom and I are fully obsessed with raw kale right now so….this is a winner! As a side note, I had a kale/duck breast salad at one of my favorite restaurants last week in Greenville and nearly died of happiness. SO. STINKING. GOOD. Can someone make me some duck soon? That would be great. 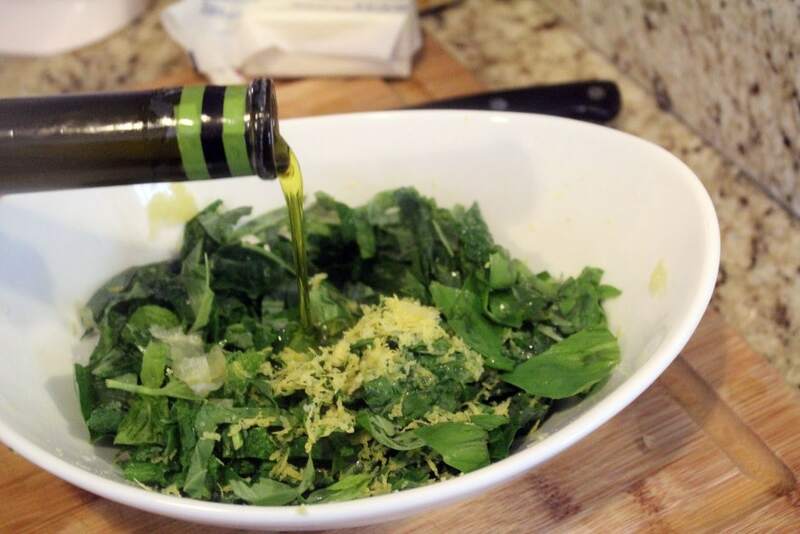 The ingredients for this are simple, you need kale, basil, lemon juice, olive oil, and parmesan cheese. Salt and pepper are nice additions, but kind of aren’t totally necessary. I do salt, no pepper, but you can do either or both! 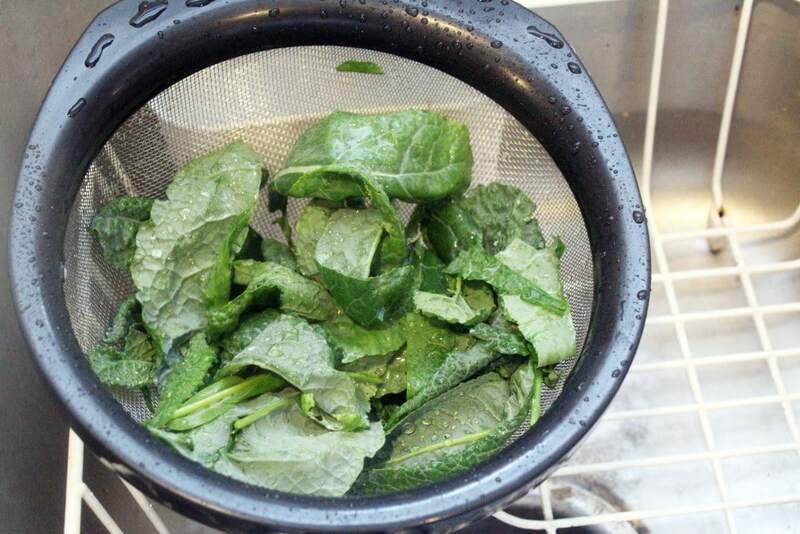 Since kale can get really gritty, wash it really well and let it drain. 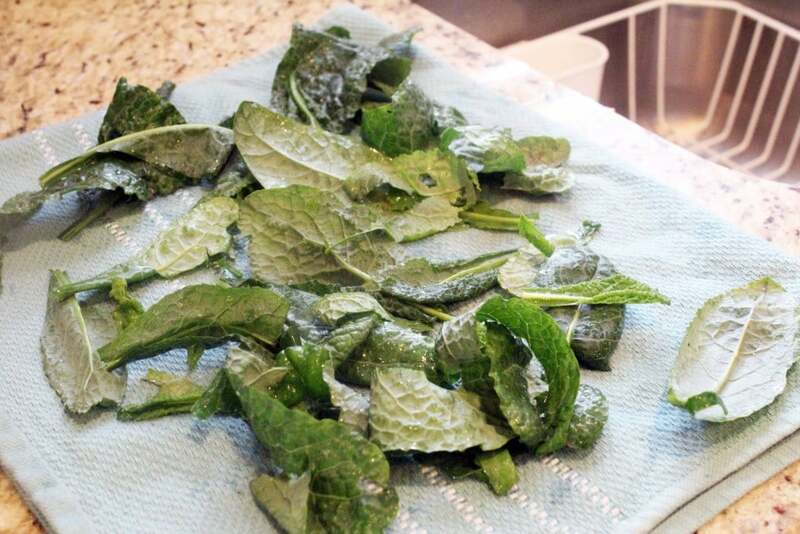 Once most of the water drains off, pat the kale dry with clean kitchen towels. 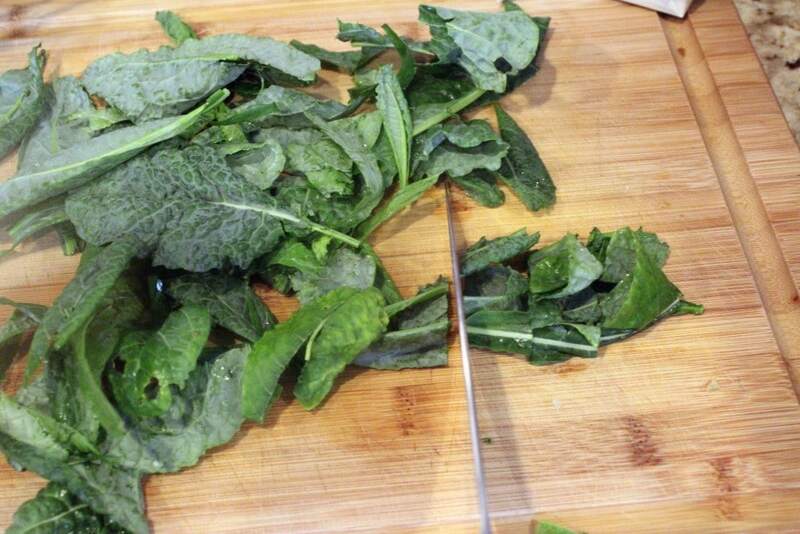 ….then cut the kale into thin strips. Now, seasonings! 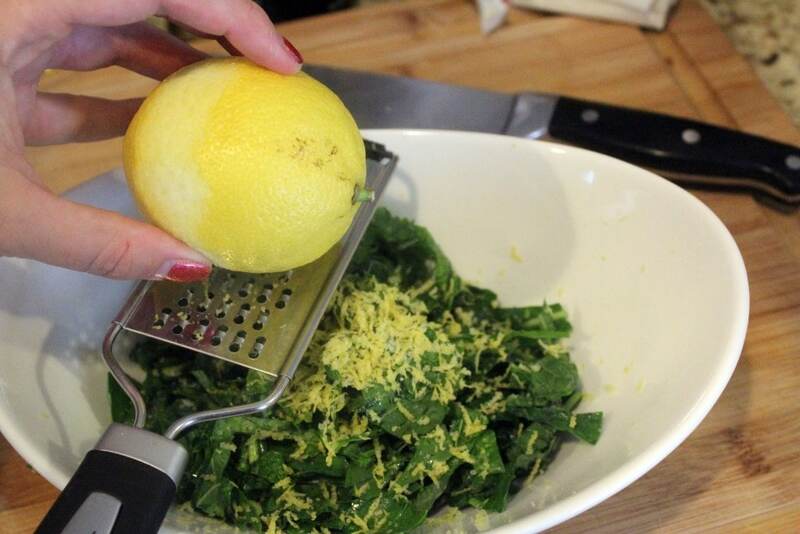 Zest the entire lemon into the kale. 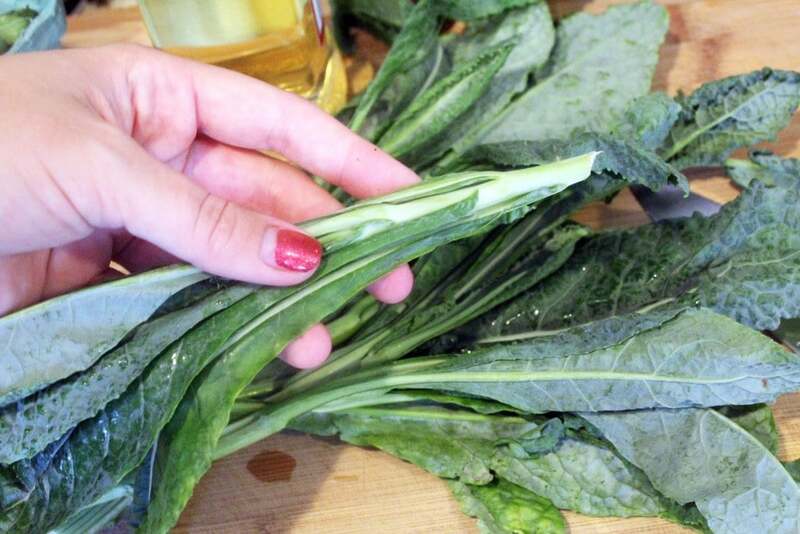 Then, squeeze about a third of the lemon juice onto the kale. Then drizzle over some olive oil. 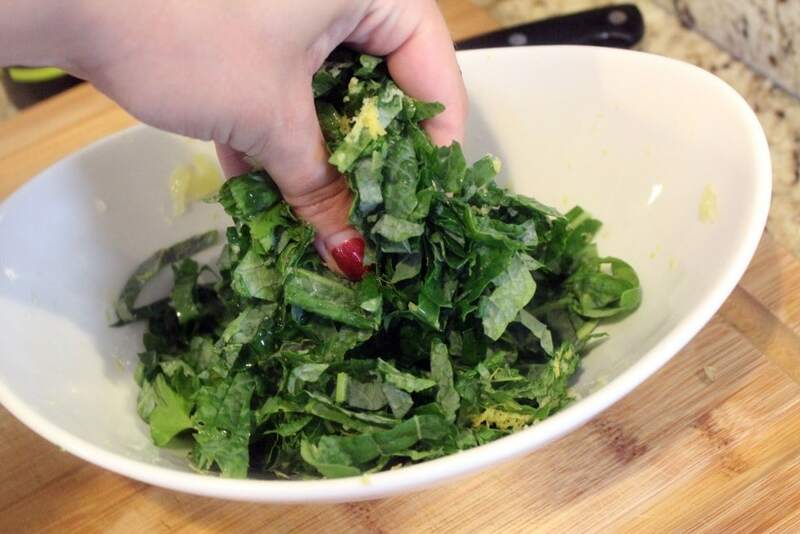 Use your fingers to rub the lemon zest, juice, and oil together to help tenderize the kale a bit. 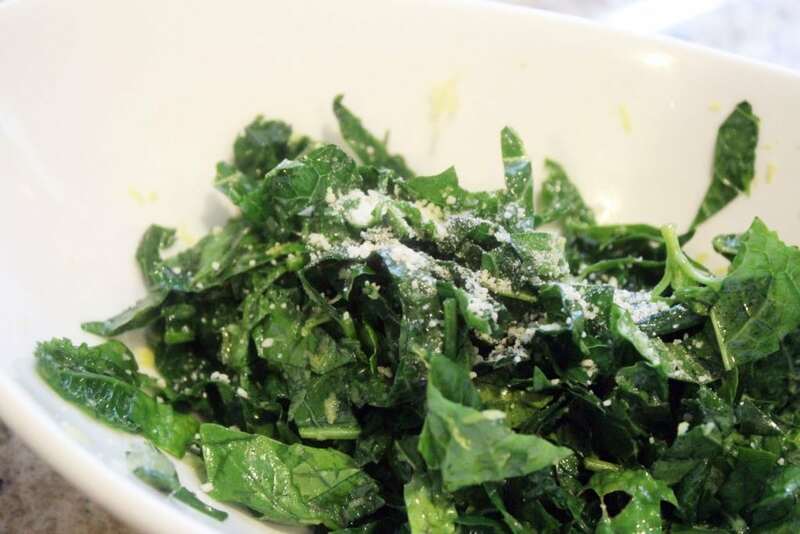 Taste the kale – add salt, pepper, or more lemon juice to your preference. Now, if you have time you can let this sit for up to 30 minutes to really marinate and tenderize, or you can just serve it right away. 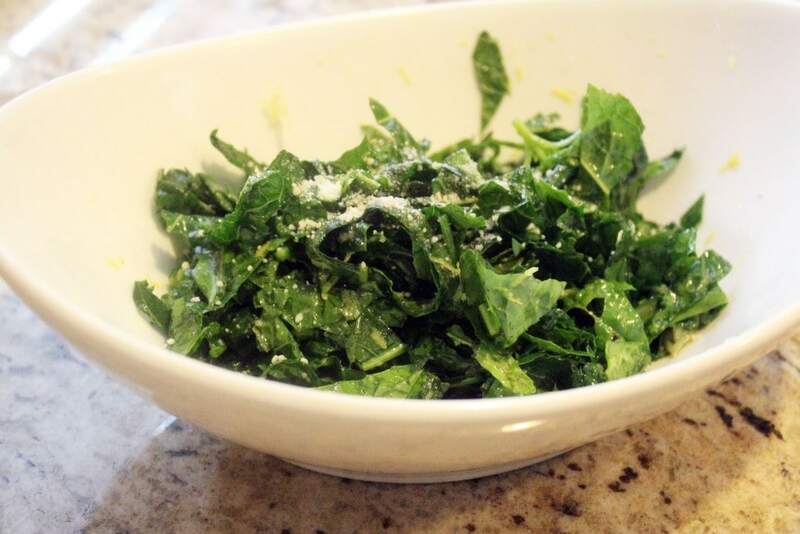 When you’re ready to serve, tear the basil and toss it in – stir it gently into the kale mixture. Serve this topped with a sprinkle of parmesan cheese, and you’re good to go! This is delicious, healthy, and so simple. It really tastes like a pesto salad! The fresh basil just TASTES like summer. Try it soon! 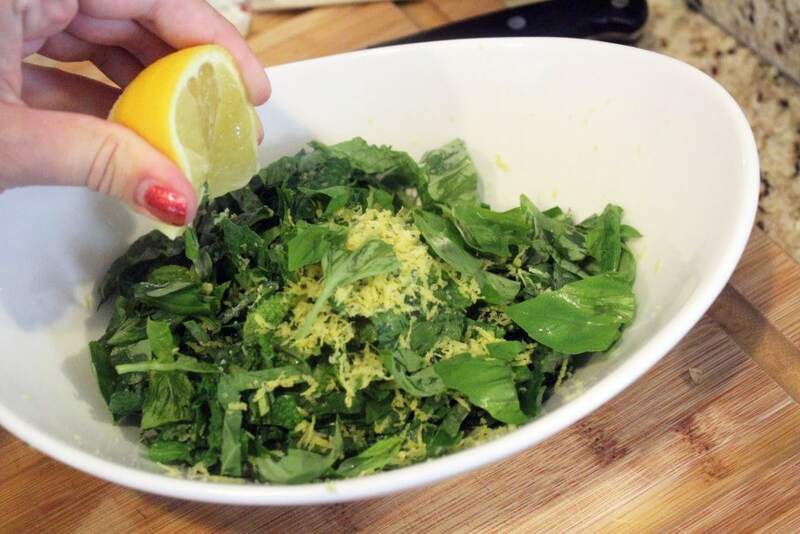 Combine the kale, lemon zest, 1 squeeze of lemon juice, and olive oil with your fingers. 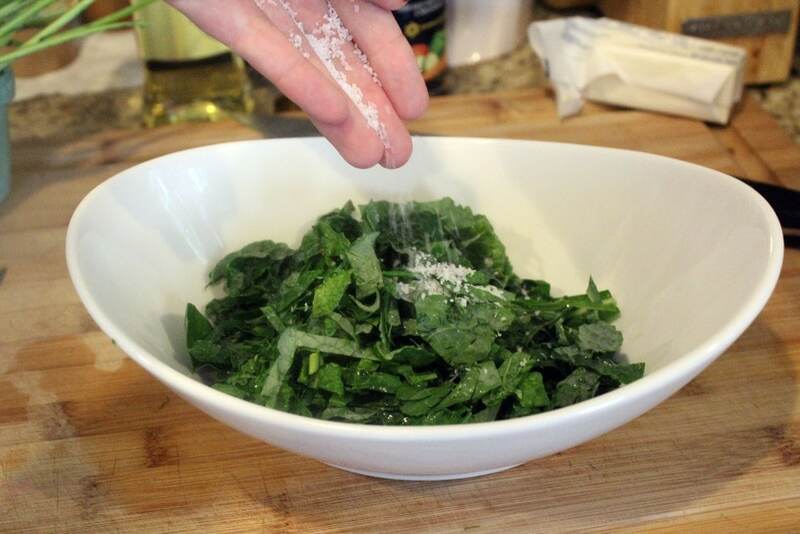 Massage the seasonings into the kale for 1 minute. Add salt and pepper to your taste. Check for seasonings, and add a little more lemon juice if you'd like some more tang. Let the kale sit for 10 minutes or so to wilt slightly. Before serving, toss in basil and gently combine. Serve salad topped with parmesan cheese.